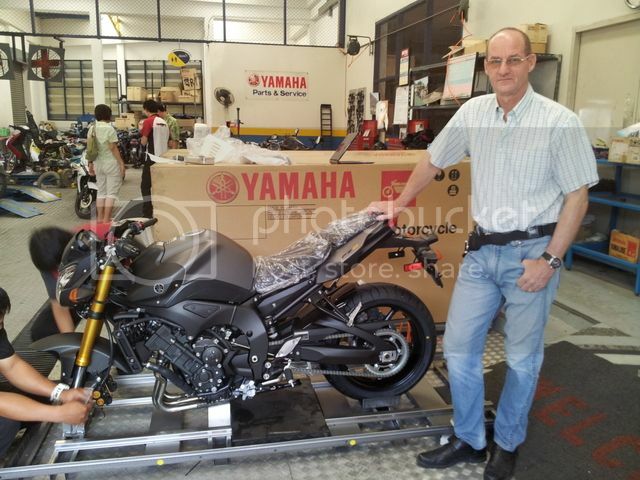 I was chatting to John Gooding yesterday and He informed me He was picking up His New Yamaha FZ8 Today Monday so a few of Us went down to the Yamaha Riders Club here in Chiang Mai to take a look this Morning! I took a couple of Photos with My Phone so pardon the Quality! 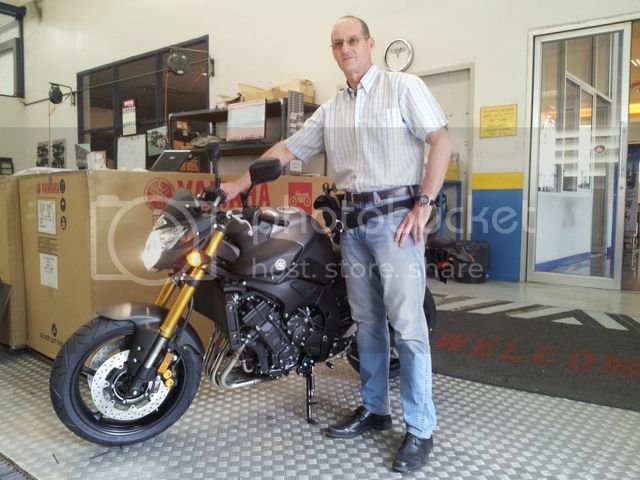 Turns out John received the First FZ8 to be delivered in Northern Thailand! It was still being unpacked when We arrived. Didn’t take long to have it all finished though. They fired it up and for a standard Exhaust System it actually Looks and Sounds really Nice! Ran Beautifully. So No doubt We will all see John on the Road soon. Good Luck and Congratulations Mate. 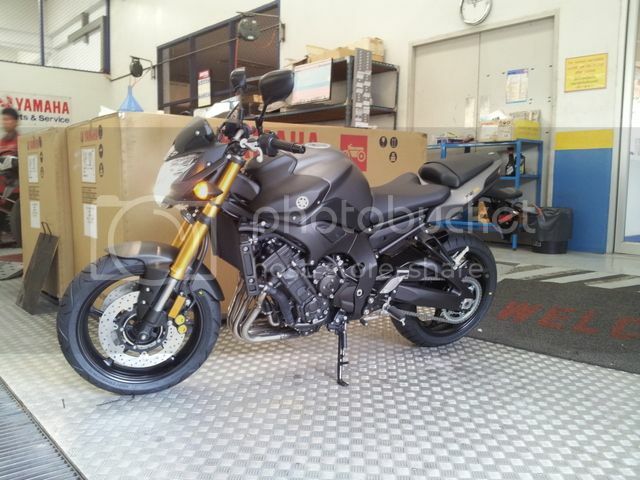 A Very Nice Bike for a Good Price as well, Enjoy! ← Previous Story Kids Thai I.D. Cards. Next Story → 484 Mile Walk!